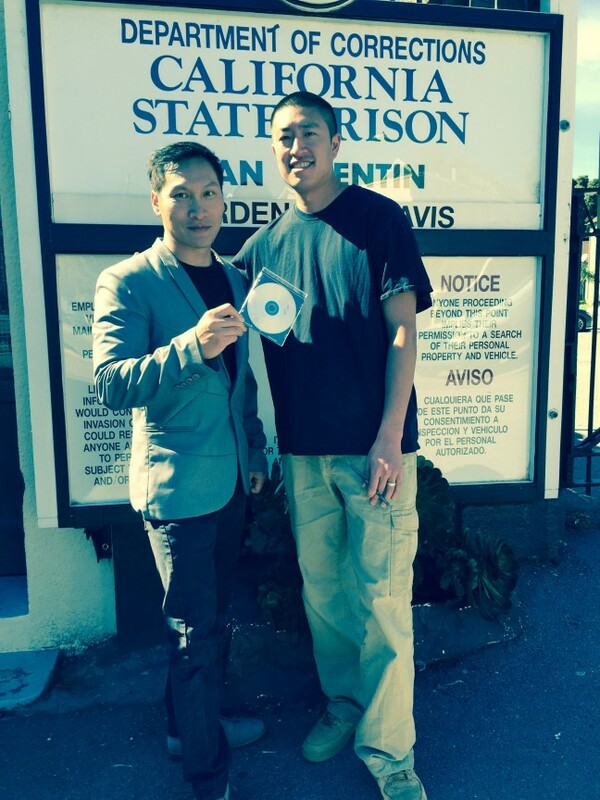 Although the official World Premiere of Breathin’: The Eddy Zheng Story is on March 11 at CAAMFest, the Asian Prisoner Support Committee and I organized a special preview screening on February 29—at San Quentin State Prison. 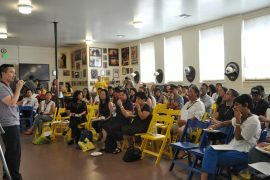 The screening was hosted by the San Quentin ROOTS program, a weekly class modeled after an Asian American Studies/Ethnic Studies curriculum that documentary subject Eddy Zheng helped co-found. ROOTS is one of the few programs in the nation that addresses the specific experiences of Asian and Pacific Islander (API) prisoners through cultural empowerment and community building activities. Community members outside the San Quentin gates before the screening. Eddy Zheng with Ben Wang at San Quentin. I first met Eddy Zheng in 2003. I was studying Asian American Studies at UC Davis, and he was nearing his 18th year of incarceration. Eddy had recently spent 11 months in solitary confinement as a result of campaigning for Ethnic Studies to be incorporated into the prison college curriculum at San Quentin State Prison. I was struck by his tenacious commitment to educational and cultural empowerment, despite arduous circumstances such as solitary confinement, parole denials, and immigration detention. His motto, “breathin’,” expresses his philosophy of letting go of the past and focusing on the present moment—appreciating each breath. In making this film, I have gained more insight into Eddy’s philosophies, his crime and its lasting impact, his prison experience during this era of mass incarceration, and his struggles to reconcile with his family and victims. Thirteen years after I first met Eddy in a crowded prison visiting room, I am thrilled to premiere BREATHIN’: THE EDDY ZHENG STORY in 2016. Ben Wang’s previous documentary films include AOKI (Co-Director, 2009 feature documentary film, which screened at SF Int’l Asian American Film Festival, Black Panther Party Film Festival, Chicago Asian American Showcase, LA Asian Pacific Film Festival, DC Asian Pacific American Film Festival, Vancouver Asian Film Festival, and Boston Asian American Film Festival) and MAMORI (Director, 2013 short documentary film that screened at CAAMFest). 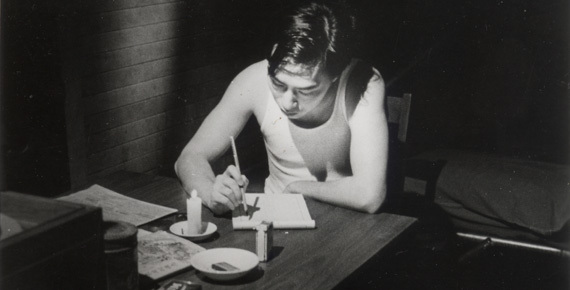 Wang also co-edited “Other: an API Prisoners’ Anthology,” the first anthology of writings and artwork featuring API prisoners.